You must make reservations at least 5 minutes in advance of the time at Sushi Sasabune Hawaii. South King street and Keeaumoku street by bus. SUSHI SASABUNE was just voted "Best Restaurant Hawaii" and wins "Top Food Honors" by 2011/2012 Zagat’s survey magazine. But be advised, we do not offer California rolls, and the majority of our 'OMAKASE - leave it up to chef" style of sushi is not to be seasoned with soy sauce or wasabi. This should be new experience for you, and we assure you that you will enjoy. Each small plate is meant to compliment the previous, and prepare you for the next. 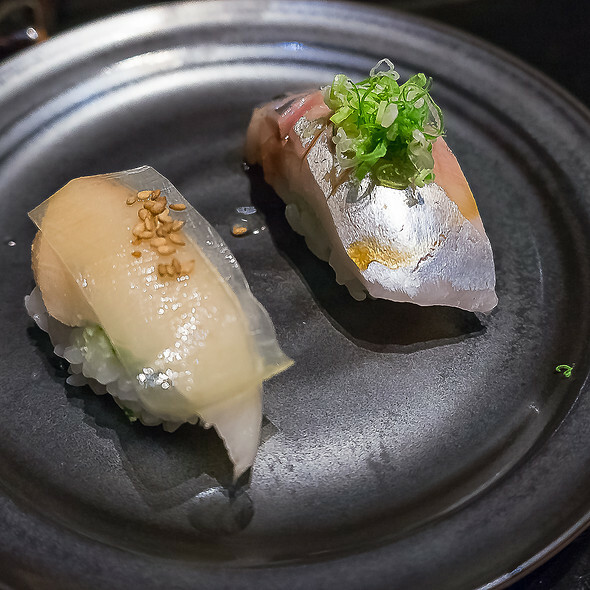 You will experience Nigiri Sushi, and some crafted sushi in its purest form. A local food writer, after sharing a dinner in our restaurant described the style of sushi as "The fish and shellfish, is extremely fresh. There is no odor or aftertaste. It is so fresh that its taste is sweet, a characteristic have not experienced at other restaurants." It was truly amazing. The best omikase my husband and I have ever experienced. Sitting on the sushi counter was a wrong choice. It was a pre-fixed arrangement and no choice. I did not see that in the OpenTable menu. Love Sasabune. Has been my favorite sushi place for over 15 years!! Every dish served deserves a standing ovation. It tastes horrible with a super expensive price! The wasabi is not fresh, the rice for the sushi is warm! It doesn’t even taste like sushi rice! Every sushi they serve, the taste of the rice, fish and souce are spreate instead of whole. We want to cry after looking at the $300++ bill for two of us and feel suffering eating each course because they don’t even let us order ourselves! And we cannot even go on with any dessert because it is really really too horrible!!!!!!! 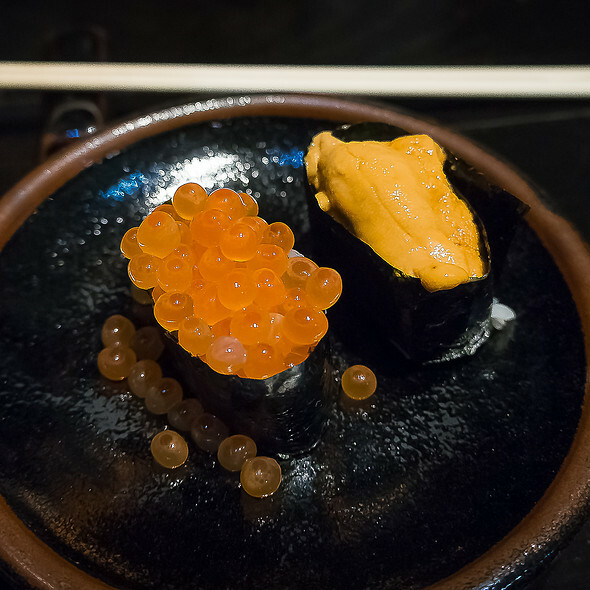 Absolutely fantastic Omakase - only, sushi only restaurant. 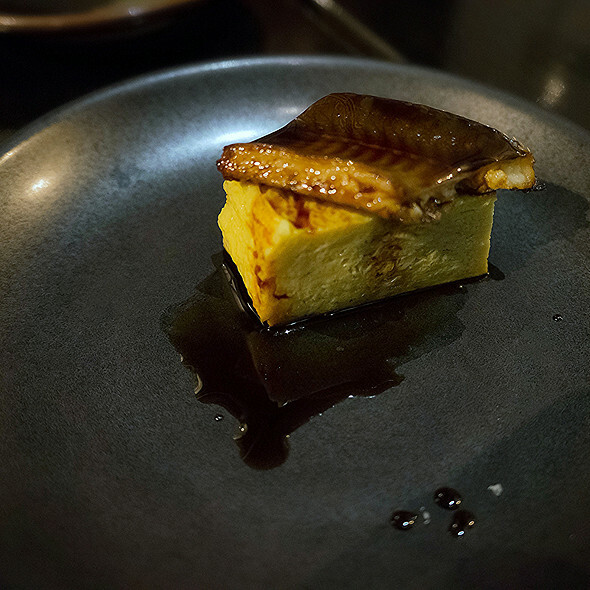 Each piece was fresh and came with its own sauce to accentuate the flavor of the fish (no soy sauce). Their motto is “One piece, one bite.” Could eat there every day!! Definitely one of the best Japanese restaurants in Hawaii. I highly recommend this place and I will definitely come back again. This is our favorite place to enjoy the "chef's table" in all of Hawaii! The chef's table experience, quality of the sushi/sashimi are well worth the price! What we did notice during this dine, that we have not in the past, is the servers provide the details of some of the courses rather than only the sushi chef. It does change the dynamic of the experience. We prefer the chance to interact with the sushi chef and have the chef provide the details on what is being served, how it is best enjoyed, etc....that part of the experience was missing this time and would suggest that it is a small detail that we had enjoyed in the past that made the dining experience that much more special. This was our 2nd time dining at Sushi Sasabune and it was as good if not better than our 1st experience. I have been here twice for Chef’s Choice at the bar. One of the best experiences I have ever had including Japan- the unique pairings and flavors are amazing - the chefs opened the restaurant 20 years ago and take great pride. I will go here for a special evening every time I am in Oahu. Simply one of the best meals I have had anywhere in the world. Best sushi in Oahu, been going here for years and will continue to. Mindblowing! Hands down the best meal of my life. I love sushi and this was the best sushi I have ever had in the world. Incredible service as well- ever dish is described in detail with recommendations on how to eat it. Wonderful, sensory experience. My husband and I dined here on the final night of our honeymoon and what a treat it was! We sat at the bar and had the ‘omakase’ (chef’s set menu) which was absolutely delicious. It went very nicely with the bottle of sake we drank. The produce was fresh, delicious, high quality and with a lovely local twist. Either the garnish was a Hawaiian flavour or the fish was a locally caught favourite of Hawaiians. Every course was described to us before we ate, by the very knowledgeable staff. We left full and very satisfied. Would highly recommend for a special occasion as with the wine and tip we spent around $300. But no regrets as it was so delicious! Always an amazing experience. Great quality, nice ambiance, attentive service. 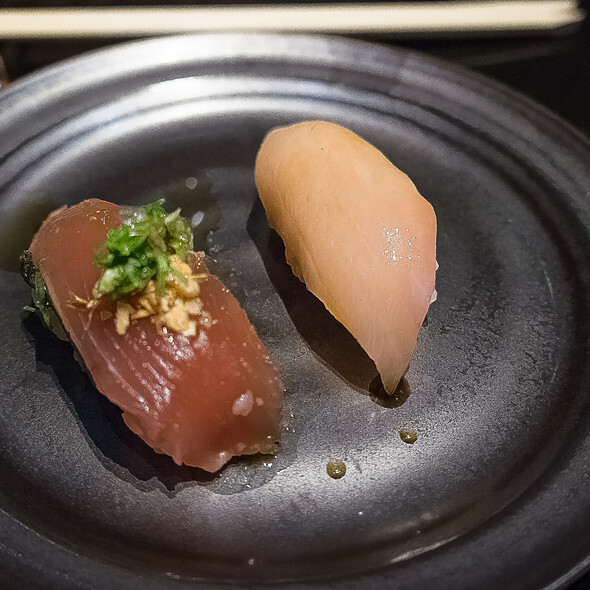 The chef’s omakase is unique and creative with a nice blend of high quality standards and Hawaiian and other memorable twists. I visit Hawaii every few months and make a point to by here every time. Always excellent service and amazing sushi. I had not been to Sasabune for about 15 years...maybe I had it built up in my mind of how great it was back then ....not saying it isn’t great now but maybe just not as fabulous as I had in the past. The Chef's menu will not disappoint! Explanations of each dish convey a thoughtfulness for every taste in Chef's chosen order. The food was immaculate, delicous, and so fresh! Amazing as always! Cant wait for more! Sasabune does not disappoint! Omakase menu is so good. The chef is the real deal. Be open minded and try new things. Let the chef take you on a sushi journey! Outstanding location for high quality sushi. 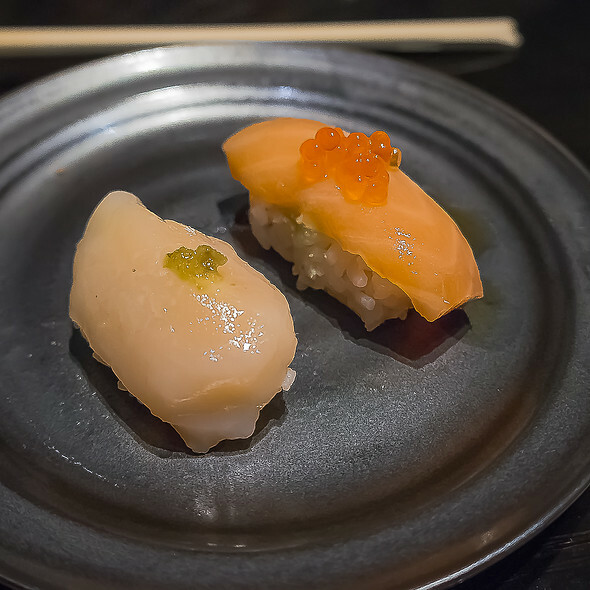 Omakase and a la carte options are available, but I highly recommend the omakase to get the full experience. This is not a good choice for someone who is not an avid sushi eater, or who is not familiar with the concept of omakase. 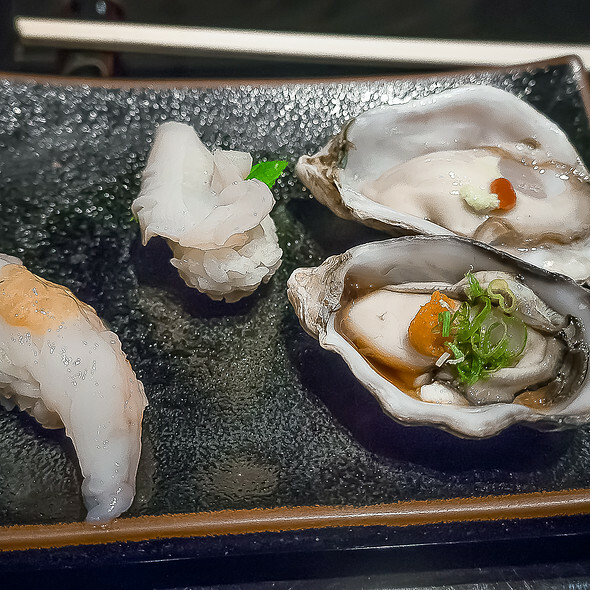 This restaurant is very formal in their presentation of the omakase experience, and they can be firm about exactly what is the right way to eat each specific dish. 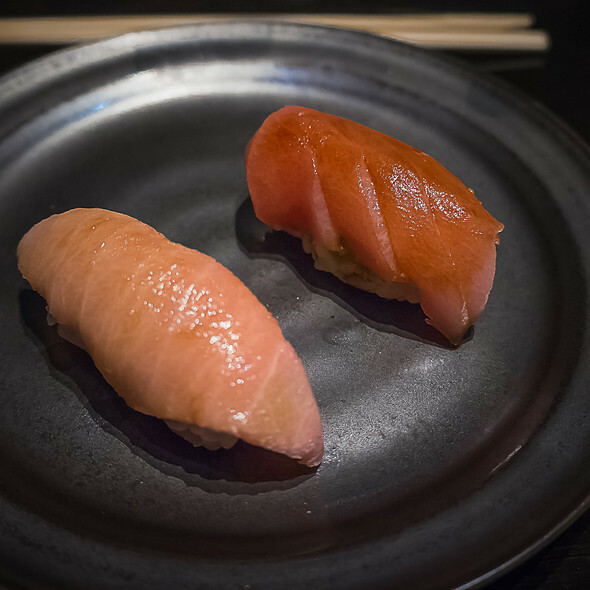 For some who are not interested in or familiar with omakase, I could easily see this coming across as pushy or judgmental (for example, it would be a bad idea to ask for a dish of soy sauce, if they wanted you to dip your sushi in soy sauce then they would have put it in front of you and told you to do it). That being said, if you love sushi and enjoy the omakase experience, you can not afford to miss this restaurant. This ranks among the best sushi I have ever had. Some of the best sushi I’ve ever eaten. It’s a great place to take a group of friends, eat some great food and have some laughs. Outstanding. It’s my favorite sushi place of all time. Not only is the sushi the freshest and unique but the experience is second to none! On vacation with my family. We had our 11 month old son and even though they didn’t have a high chair they were very accommodating. Everything was delicious and the service was very good. It was definitely expensive but worth it for the experience. Great sushi restaurant for weekend and special occasion! Everyone was so friendly. They explained every course and how to best eat it. It was all delectable. If you're looking for a traditional Japanese style sushi this is not the place. No food menu, just drink menu. You eat what the chef makes. With that being said, this is one of the best "sushi" places we have ever ate at. They turn sushi not just into art but also cuisine. 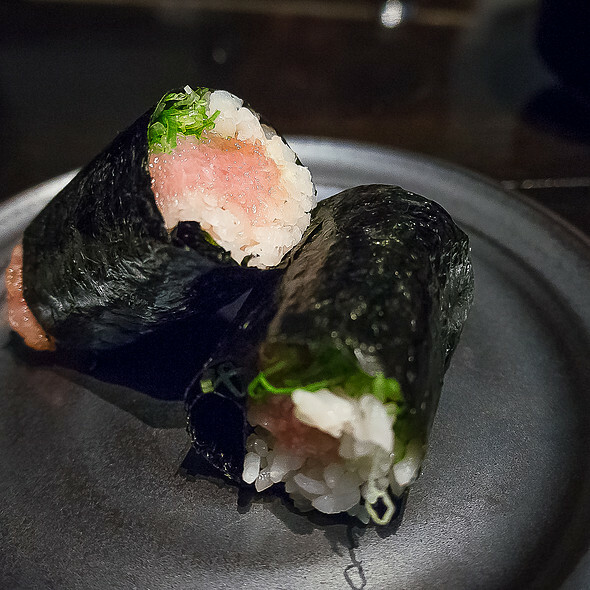 They fuse flavors together that you would never think of putting on a fish or sushi. They use local ingredients and local fish, which is amazing. 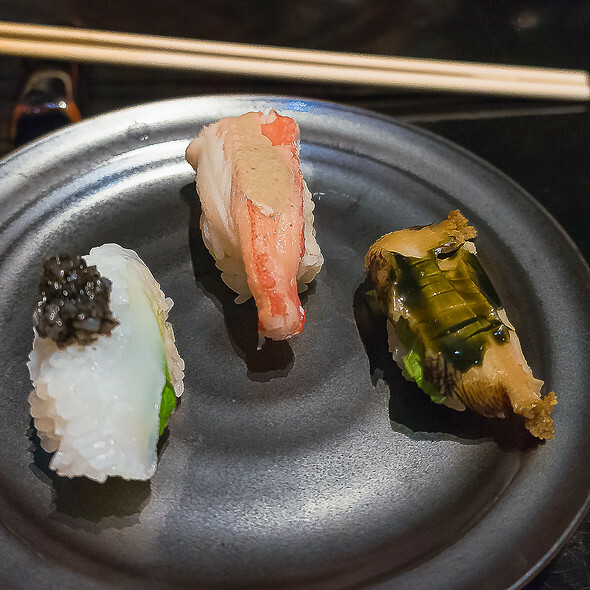 They turn traditional sushi into a classy gourmet tasting that will leave you wanting more. Outstanding food as always. We love it here! We had an amazing experience. The food was fantastic. The service was excellent and the recommendations were on point. Im already looking forward to bringing friends so that they can share our experience. We're definitely coming back. The omakase was amazing with all staff assisting everyone there! Very kind and easy. They asked that if my beer was low that they can refill my glass and they will of you allow them to. For the price and type of dinner occasion, it was great! For the Omakase, they put has sauce on every piece of fish. If I am going to pay that much for top quality fish, i want to taste the fish, not onions or salmon pate. We also think the oysters were off as they smelled funny and we were sick afterwards. Great service, excellent sushi preparation and quality.